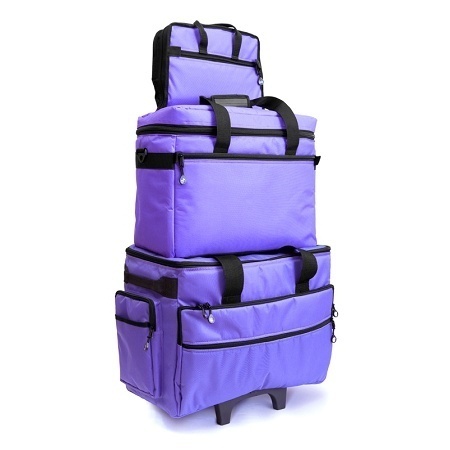 The TB19 combo includes the BlueFig TB19 wheeled sewing machine bag, the BlueFig Project Bag and the BlueFig Notions Bag, originally valued at $139. 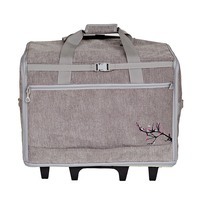 The BlueFig Wheeled Sewing Machine Bag measures 19.25" wide by 14" high and 9.5" deep and holds most small to medium sized machines and features a rugged ball-bearing wheel set, multiple interior pockets for additional storage and a steel frame. 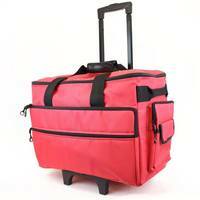 The Project bag is perfect for carrying small, lightweight machines or your current projects! 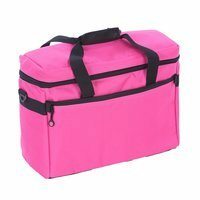 Measuring 17" wide by 13" high and 7" deep the project bag features a zippered pocket on the front, shoulder straps and two sturdy handles with a velcro strap fastener. It is fully padded for protection and contains 4 internal pockets. The Notions Bag is designed with 12 clear, internal pockets perfect for carrying notions and accessories. Measures 12" wide by 20" high (when opened). NOTE: Slight color variances occur between components when buying 3 piece sets!